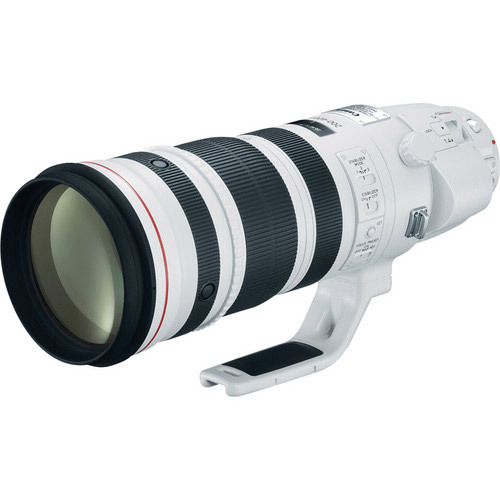 A high-performance super telephoto zoom lens with an optically matched built-in 1.4x extender for maximum versatility. With a simple flick of a switch, the zoom range can be quickly increased to 280-560mm (f/5.6). This capability is extremely useful in applications where it is not possible to change lenses quickly, while also protecting delicate equipment such as a digital SLR camera's image sensor in environments with dust and high humidity. 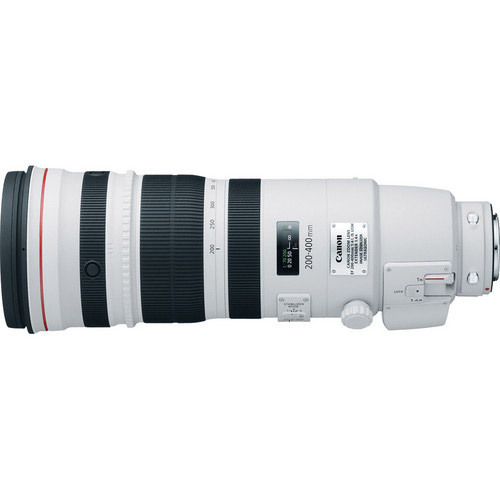 The EF 200-400mm f/4L IS USM Extender 1.4X incorporates one fluorite and four UD lens elements, which provide excellent correction of chromatic aberration throughout the entire zoom range for professional quality images with high resolution, contrast and color fidelity, while a 9-blade circular aperture helps deliver beautiful, soft backgrounds. It utilizes inner focusing, ring USM, a high-speed CPU and optimized AF algorithms for fast and accurate autofocusing. And, with Power Focus mode, focus shifts are quiet and smooth, which is essential for filmmaking. Image stabilization is effective up to four shutter speed steps, with three image stabilization modes (standard, panning, and during exposure only) providing excellent results for a wide range of subjects. 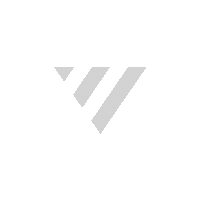 Optimized lens placement and coatings deliver outstanding color balance, while helping to minimize ghosting and flare. The lens is highly resistant to dust and water, enabling shooting even in harsh conditions. A fluorine coating on front and rear lens surfaces repels dust particles and makes the lens easier to clean.